It has been 2 days since the earthquake struck Japan. Tokyo is somber. Things here are mostly fine — there was little damage and much of city life has resumed. Around Azabu Juban trains are running, restaurants and shops are open, and people are walking about. Twitter reports from around the city reveal similar scenes. Dan and I have been out walking, but haven’t strayed far from home. The aftershocks continue, and though the tremors aren’t as big as they were yesterday, I still don’t have any desire to get on a train. We stopped at the grocery store mostly because we felt we should, but I didn’t know what to buy. Yesterday eggs and bananas were out, today our nearest grocer was lacking toilet paper, milk, and leafy greens. I bought a few onigiri from a nearby conbini and felt satisfied in my preparedness. The grocery stores were bustling but restaurants were not. We went out for Chinese food and had the restaurant to ourselves. I half-joked that we should eat out while we can, and save the veggies at home for the coming days. The truth is, I’m not sure what to expect this week. Authorities say Tokyo will intermittently be without power and are asking everyone to conserve electricity. Prime Minister Kan said in a televised press conference that this is the worst disaster to hit Japan since WWII. Dan and I shut off our heat and are snuggling around a shared lamp. They’re asking us to prepare for scheduled power outages, but I’m not certain what that means. We’re making some rice to stash in the fridge, we’ve got food and water. Being without a television for a while will probably do me some good. In the past 48 hours I’ve become a total news junkie. In addition to my Twitter feed, which is in constant refresh on my phone, I’ve had email and Facebook, online news channels, and NHK TV at my fingertips. Though, the images of devastation and the anxiety of another tremor are starting to wear me out. (Mom, look away…) The Japan Meteorological Agency said there is a 70 percent chance of another earthquake greater than magnitude 7 occurring within the next three days, and then 50 percent chance in the 3 days after that. I feel safe in my apartment and with Tokyo’s resources at the ready, but anticipation of a tremor rattles my nerves. You know that feeling you get when you step off a treadmill? Or, when you are sitting in a restaurant and the subway rumbles beneath you? Or when you stand up too fast and feel a little light-headed? That’s how the aftershocks feel, and they’ve been pretty constant since Friday. I’ve been calling it The Weeble-Wobbles. Not dangerous, just… weird. Japan is in the midst of a major crisis, and I’m in the midst of Japan. Though Tokyo is pretty much back on its feet, my heart aches for Northern Japan and the devastation they face. It is difficult to know what to do or how to help. It is easy to sit at home, watch the news, wait for more sways. This entry was posted in Random and tagged Azabujuban, earthquake, Japan, onigiri, Tokyo, tsunami. Bookmark the permalink. Azabu, where Angie lives, has one of the strongest foundations in the city. So much so that there are many embassies and gov buildings in the neighborhood. And as much as I hate to admit, there are homes of many celebrities and politicians, which means that the area is very well protected/served by local authorities as well as commercial businesses. We are one of the very few areas that does not have any planned power outages. Although our country is in a crisis, Angie is as safe as she can be here. Gosh, Angie. I’m so glad to hear that you and Dan are okay. You both were the first thing I thought of when I heard about the quake…didn’t think to check Twitter before! Angie, Glad to hear that you and Dan are ok. 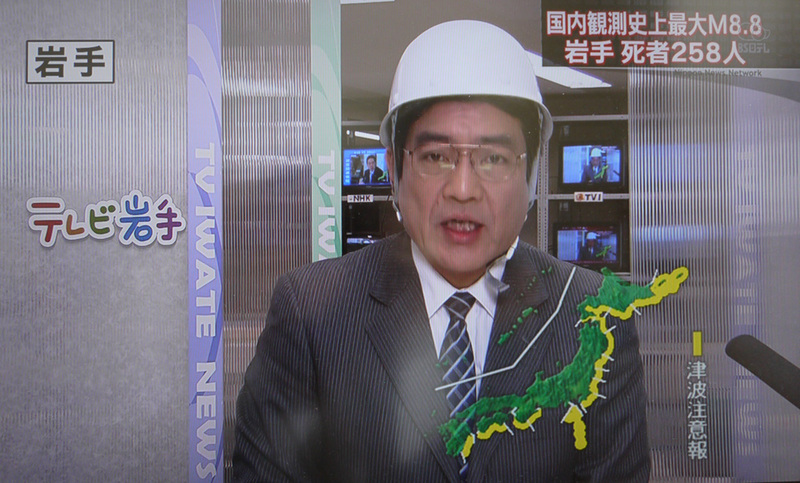 The horror of the Sendai area and the reactors is on the news constantly here. We visited Sendai in 2008 and are so worried about the people there. The University there is the location for many of the ecologists in Japan. Lisa and I wandered the city and stumbled on many amazing shrines (Sarah only joined us for the Tokyo part–duty called) I am sad about the loss of life and destruction. Life does seem so fragile. .I don’t have to tell you. Thinking of you and your brother. I am now terribly worried about Arijit too. Eek, I go on. So glad you are posting things. Take care. Thanks Cathie, thinking of you and your family, too. xo! Sending good thoughts from the US. My friend put a link to your blog on her site along with a bunch of others from Japan. You are watching the news and we are reading your blogs…it brings it home to us here. Peace and love from the other side of the world.